Here we go again! Strong Storms Passing Thru. What about my chimney? 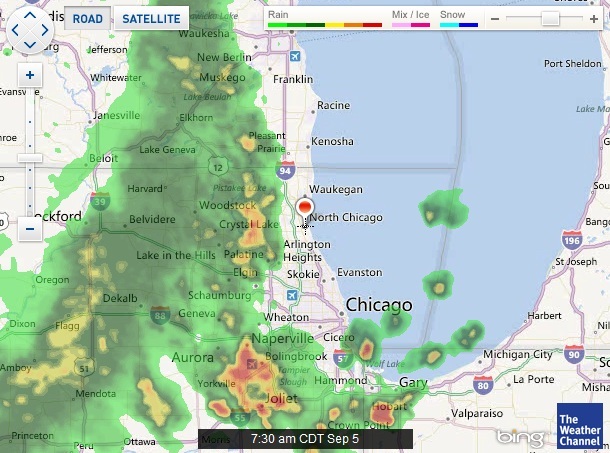 Strong storms are back again. Here we thought it was going to be strong storms over the weekend from the hurricane and it turned out to be not so bad. However, today can be a different issue. I think you’ve read enough about debris and leaks, this time let’s talk about your chimney. Chimney’s are a common fixture in our homes. When high winds cause the rain to go horizontally instead of vertically, it becomes a perfect entry point to our chimneys. Watch for water dripping down. You may hear a dripping sound or see a puddle of water inside your fireplace. Quite unpleasant to clean. Water can also make its way in if the mortar is weak or if the step flashing isn’t firm and in place. This fall, be sure to have your roof checked as Showalter always checks the chimney for problems. It’s a common problem many homeowners experience and don’t realize the damage it can cause. Call us when you need help. 630-499-7700. Have you noticed that there is too much or too little draft coming through your chimney flue? Has there been an increase in your energy bills due to a drafty chimney? Maybe, you have found water damage around the path of your chimney? If so, than you may consider installing a chimney top or cap. Chimney caps are an inexpensive guard against many problems that might occur in relation to owning a chimney. Standard caps are made from a number of different materials and serve multiple functions. Theses materials include steel, stainless steel, copper, and aluminum. Most models feature side screening which keeps most birds and small animals out of the chimney. Some people use a chimney for a gas fireplace or a wood fireplace, some for a wood-burning stove. A chimney top serves as an access point to oxygen, protection from uncontrollable elements such as rain and wind, and a way to keep unwanted visitors out of the chimney flue. Overtime, the chimney tops on your home may gradually form rust depending on the type of metal that was used during installation. This rust has the potential of running down the chase and leading to imperfections in your chimney as well as your roof. 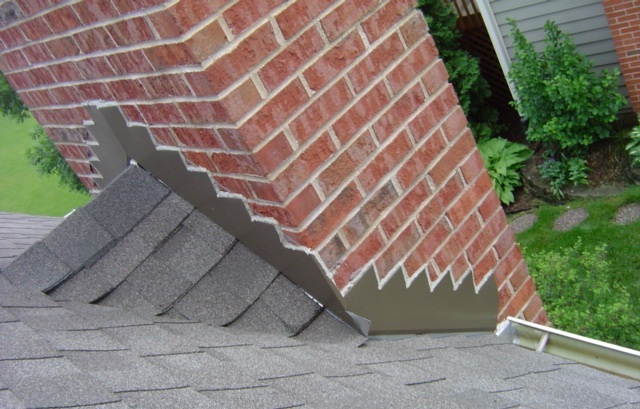 With over 25 years experience providing quality installation of architectural metals, Showalter Roofing and their trained staff of professionals can install a quality chimney top to your home. Don’t forget…Chimney’s are Part of Your Home too! Homeowners tend to maintain only what can be easily seen. It’s not until a problem develops do we realize there’s a roof on the house. What can be even worst is the lack of attention given to a chimney. There are different types of chimneys on roofing systems. I thought I’d focus more on the more common brick chimney. Brick chimneys are an important part of your home maintenance due to the moisture and condensation brought out by the heat and air conditioning from the inside and the heat and cold temperatures from the outside. The brick chimney has a metal counterflashing installed at the base of the chimney for protection. If the counterflashing is not cut into the mortar joint the caulking will loosen and moisture will make its way inside of the building. If the flashing is not constructed of aluminum, painted steel or galvanized steel, over time it will rust. If you’ve ever touched rust, the orange color steel particles end up on your fingers. Ultimately, it will run down your roof and stain the shingles. That is an undesirable sight. Showalter Roofing sprays the chimney with a seal coat or silicone so the chimney remains water resistant. Some bricks are more porous, and will absorb additional water than other bricks. The chimney cap is made from concrete that too can break up over time. If water gets its chance to get inside the chimney cap, the chimney will need to be tuckpointed or completely replaced. A costly issue. There are coatings which protect against water penetration called Crown Coat, a great product that Showalter frequently uses. This summer, be sure to look on top of the roof. Be sure to check your shingles and the chimney. It has been a long hard winter and it started early this year, so I am ready for sunshine and clear skies! It’s the time when everything comes alive, when the deadness of winter springs up into new life. What once seemed dead is coming back to life with anticipation of beautiful colors and fragrant smells. aaaahhhh! I know, you wonder about a roofer in Illinois who enjoys flowers. I grew up on a farm so working outdoors is in my blood and working the fields brings back fond memories. So had I not chosen roofing for a career path, landscaping was my backup plan. Either way, I enjoy working with my hands. While spring begins tomorrow, so do the heavy rains. Before you have one big mess on the roof, take a moment to clean out your gutters, drains, and any debris left behind on the roof from winter. It’s true, you will have to do it again come summer, but to eliminate the debris will enable the water to flow away from the house and not settle in unwanted places. It is also a good idea to make sure the penetrations that come through your roof are secure. Sometimes chimney caps get loosened and caulking on chimneys and vents crack and come loose. Also make sure your vents are open and not smashed down from animals or the winter snows so that air can pass through and not block the ventilation system.